Where to go in Scotland if you don’t have a car (Part 2) – Travel. Live. Eat. 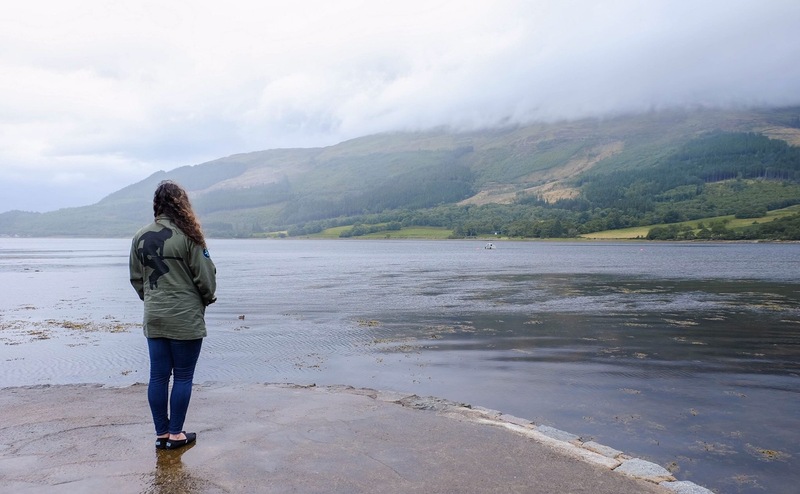 From the part one of this post, we gave some recommendations of what you can add to your itinerary in Scotland around the civilisation and locations with convenient public transports. This post will focus a lot more of nature and places you can visit without a car… but it requires you not settling in one city for the rest of your trip. I mean you can but you will probably end up paying for extra nights of accommodation, so it’s better to do it either once you get there or when you’ve booked hotels in those places in advance. Starting from where we left off. This one you can easily get a train from Queen Street to Balloch in Glasgow, take another bus (305 or 302), then walk for 10 minutes. What Loch Lomond is, it’s pretty much a really big bay that’s connected to a huge and long river. Really recommend it for hikers and campers as there are a forest park and national park right beside Loch Lomond. Luckily this one is a bit more convenient as the time it wakes to get there is an hour and a half, and if all hotels are booked you can just head back to Glasgow. Or you can find a camping site, hostels or bed & breakfast to stay for a night before heading over to the next stop. Oh my lord it’s not even close to Isle of Skye yet and it’s already SO BEAUTIFUL. What can you do there? Hiking, camping and hiking. We didn’t have camping gears and we went for a 3 hour walk and my god it was so worth it. Even though it rained and got foggy a bit you could still see the beautiful landscape. There is a camp spot near where the photo above was taken, and they only accept guests who come and look for spaces at the campsite. Even around the area, there are a hostel and more camping sites around… so don’t worry about not having a place to stay! One thing we recommend doing (if only you can pinpoint the way back or have Internet on your phone), wander around aimlessly for couple hours and you will not regret it. Even though it took us a while to get back to the bus stop, it was definitely an unforgettable walk… could not get enough of the sceneries! It costs about £21 one way (bus number 916) from Glasgow to Glencoe and takes about 2 hours and a half. Warning about this place… it’s impossible to find hotel stays because they are always booked out since probably March. The best advice for this is to have Glencoe as your base to go to Fort William as it’s only a 30 minute train ride away. Fort William is a small village that is a bit civilised but still surrounded by nature. There is a train stop literally to the central area of Fort William so don’t worry about getting lost. This is something we totally felt so frustrated that we didn’t get a chance to go because there was no way we could take a bus to Glenfinnan Viaduct and back from Glasgow within a day… we actually could but we would only get half hour to an hour there (which is definitely not enough!). Glenfinnan Viaduct is a landmark with one of the longest railways in Scotland. It is where you can see a train passing by the gorgeous landscape (perfect spot for photographers!). But that is not the only reason why people go there; it is because Glenfinnan Viaduct was featured in Harry Potter the series as Hogwart’s Expresss (the Jacobite Steam Train). By the way, in order to get to all of the mentioned places (including Glenfinnan Viaduct) requires you to get up early as it will take more than an hour to just get to each place. There is no guarantee that there will be that many available hotels around this landmark so the best thing to do would be taking buses from Glencoe; which takes about an hour and a half. PS. Be prepared for rain, rain and resin around August time!